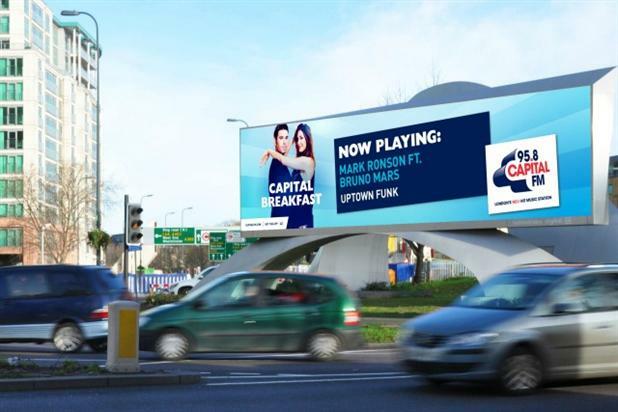 The ads give real-time updates on every song played by the radio station to 14 Outdoor Plus sites throughout the capital, including the Euston Road Underpass and Vauxhall Cross. Live feeds will track songs played during the Capital Breakfast Show with Dave Berry and Lisa Snowdon, mid-mornings with Pandora and Drivetime with Greg Burns. These are the busiest times on London’s roads, with the highest dwell times. Max Buckland, the head of marketing for Capital, said: “Capital’s traffic and travel data supports our view that Outdoor Plus has the best coverage across the busiest traffic hotspots in London. The song information is relayed from Capital to the Outdoor Plus screens via CrowdScreen. Jonathan Lewis, the managing director of Outdoor Plus, said: “Our digital offering is the most advanced in the market. This innovative campaign from Capital is a showcase for how brands can use digital out of home in a clever way to create truly engaging advertising. The campaign was booked and developed directly by Capital with Outdoor Plus.